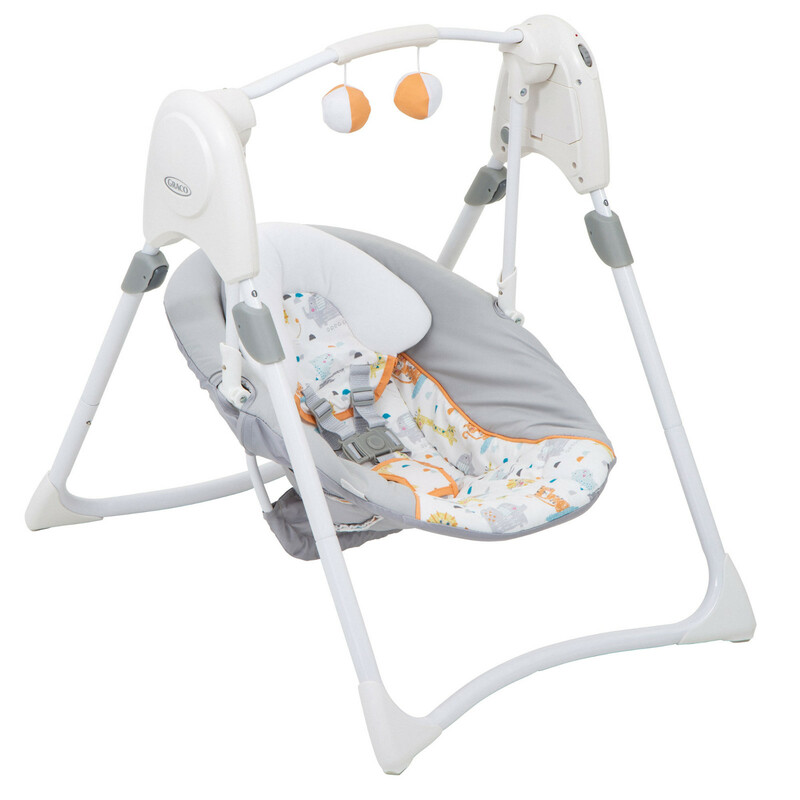 When you’ve not much free space available, but you’re already convinced by the relaxing and calming effects that baby swings can have; the Graco Slim Spaces Baby Swing might be exactly what you’ve been looking for! 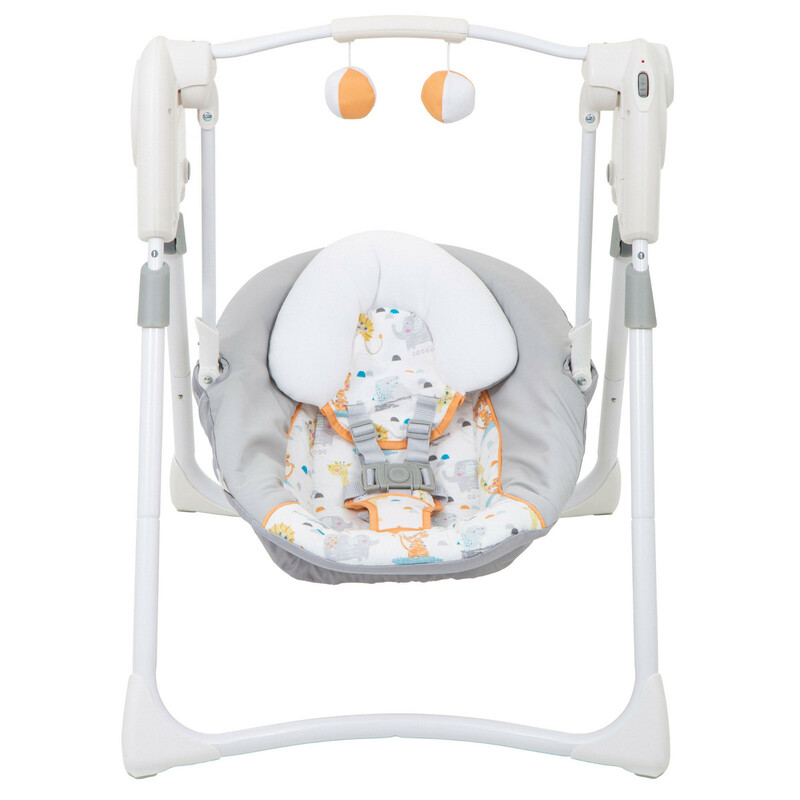 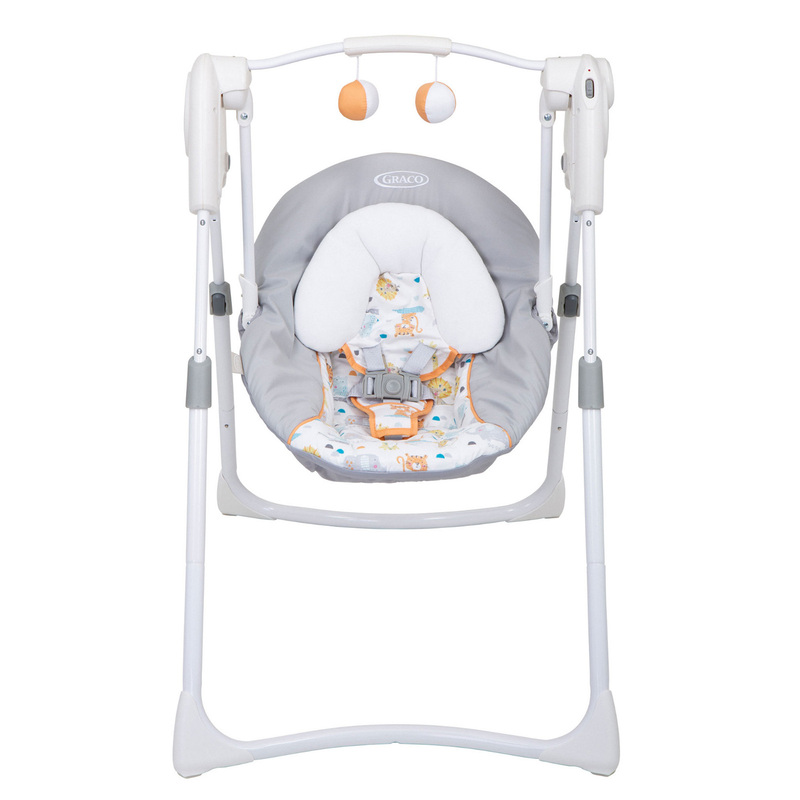 With height adjustable legs, you can choose to have baby swinging closer to the ground or raised higher for full-size swinging mode, allowing you to interact with them at any height. 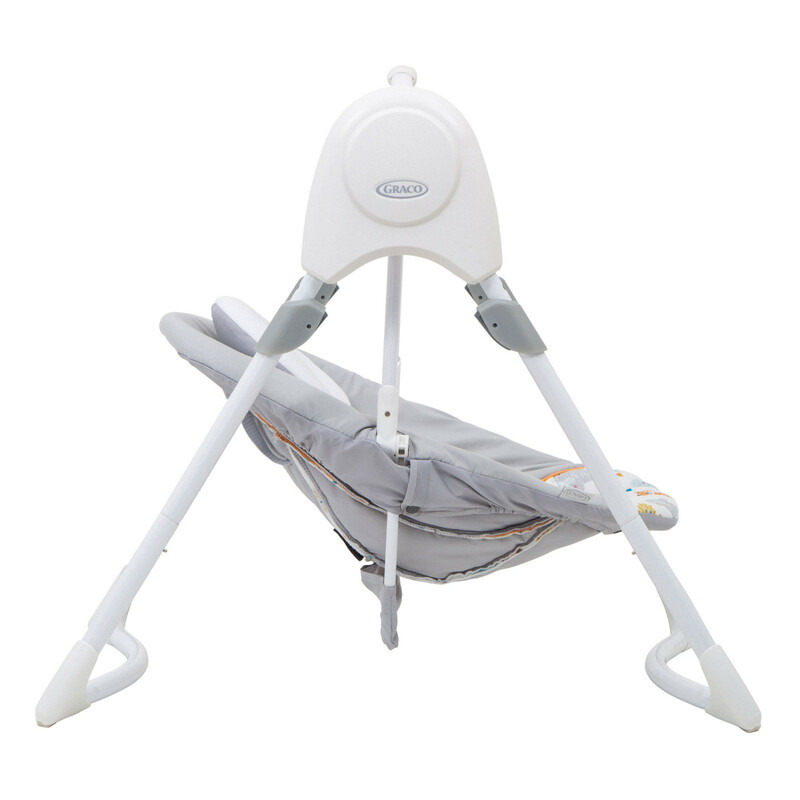 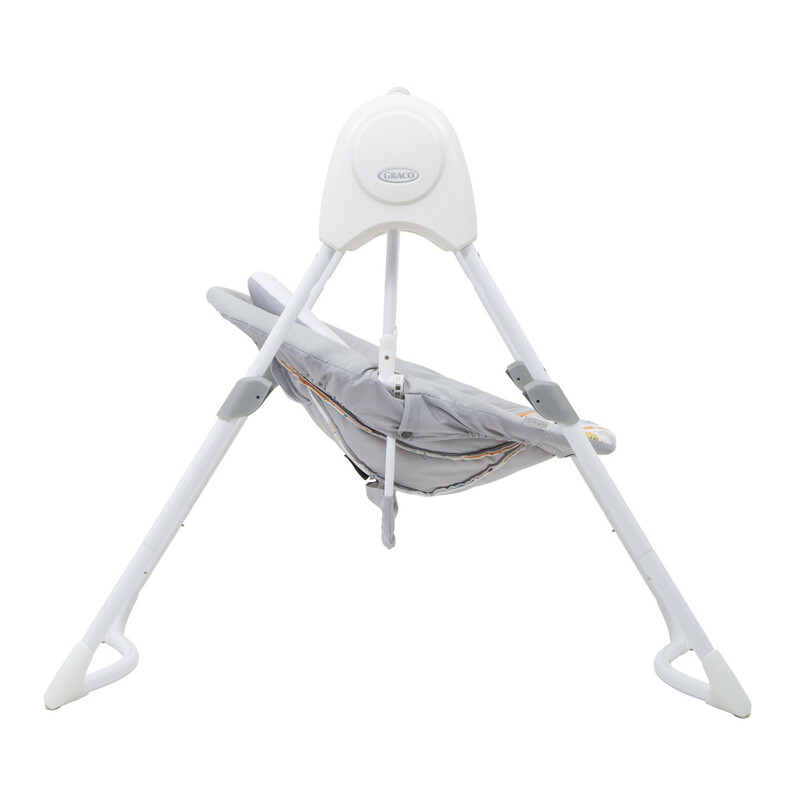 Soothing restless little minds, the Slim Spaces Baby Swing is portable, features a carrying handle for easy transport and is powered by batteries so you can take it anywhere! 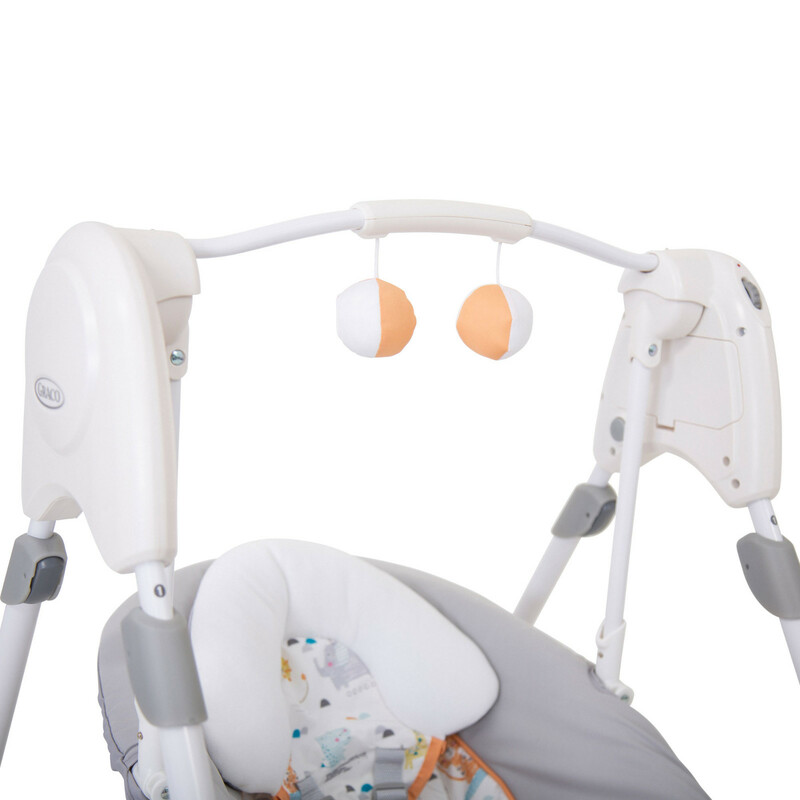 The speed of the swing is adjustable and there are also 2 soft hanging toys to provide visual stimulation. 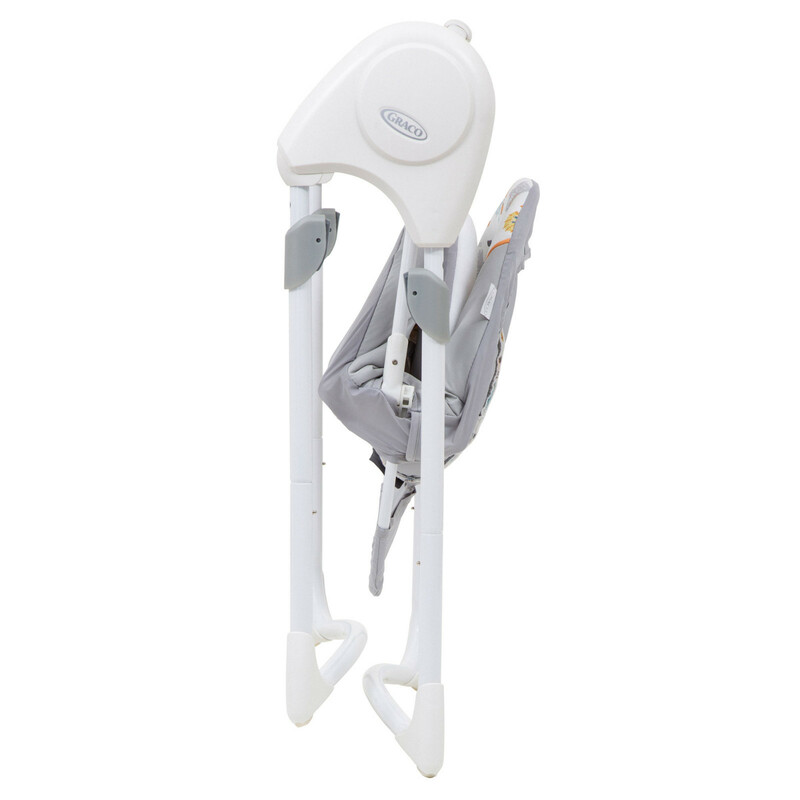 When not in use, the swing folds down to a compact and easily manageable size, which can be stored away with minimal fuss.